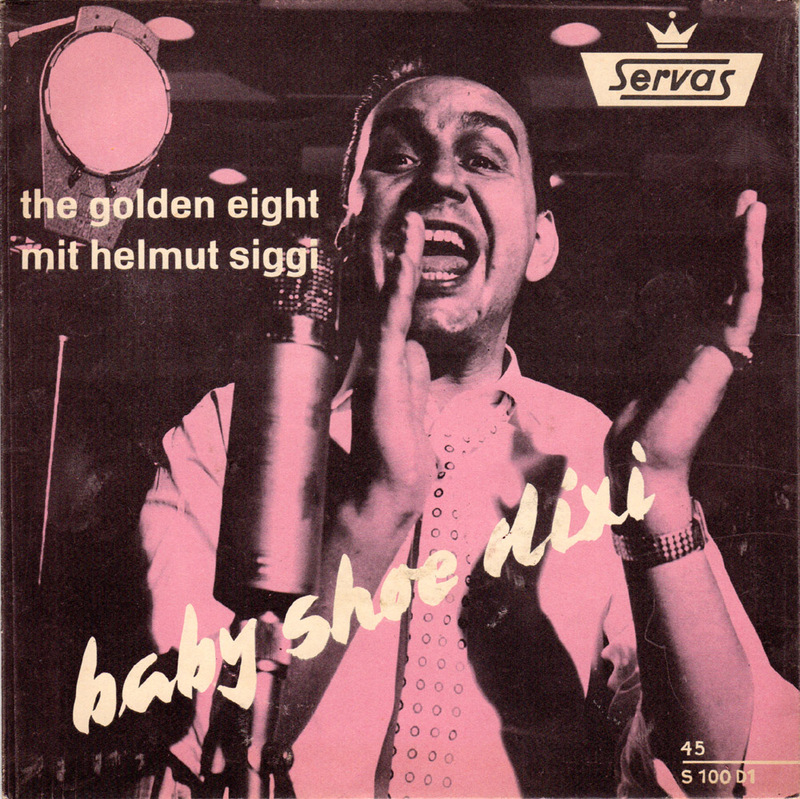 A very common series of German advertisement flexible records, that I keep finding, was put out by the Servas shoe company, once one of Germany´s leading shoe manufacturers. According to a 1970 article in Spiegel magazine Servas had a business volume of 100 million Deutschmarks and produced 15 million shoes per year. Today it is reduced to a factory outlet. This was their very first release on a very thin one-sided flexible disc, in fact so thin that it took hours to digitize this one track. The otherwise perfectly flat record would not keep skipping until I found just the right weight of the tone arm. 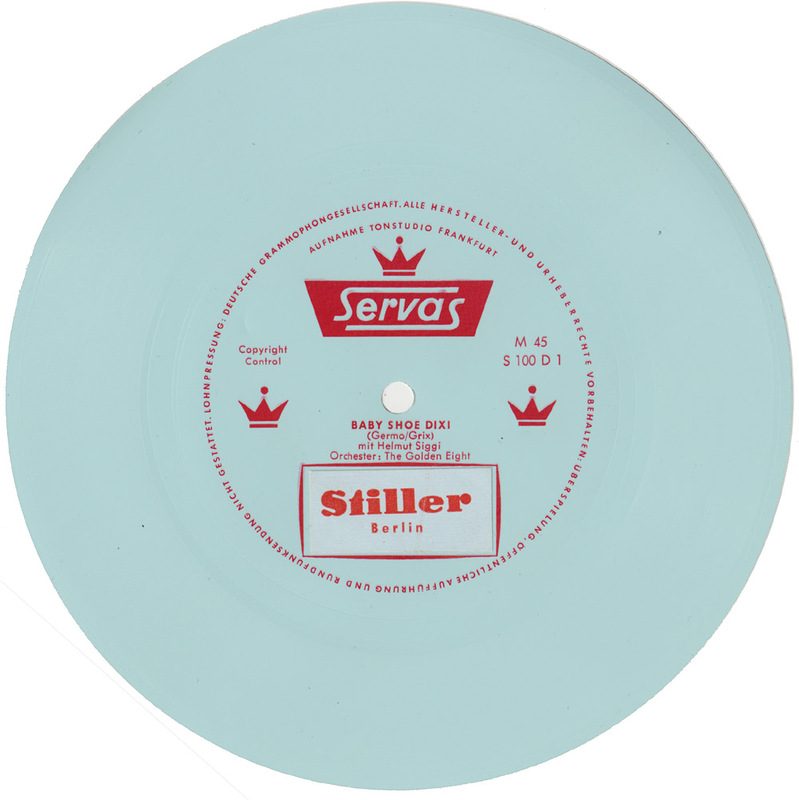 As you can see on the scan, the label could be modified with a sticker so that each shoe store that sold Servas shoes would have their own name on the record, as in this case “Stiller, Berlin”. The Berlin store still exists in Friedrichstrasse, one of Berlin´s main shopping streets. Thanks, I tried my best. The German archive of advertisement research states it was recorded in 1959. The label says it was recorded in Frankfurt (Aufnahme Tonstudio Frankfurt) and pressed by commission through Deutsche Grammophongesellschaft (Lohnpressung).